Have you ever wondered why some brands stand a head above their competitors?Why do consumers prefer certain brands and not others? Why does the golden arch of McDonald’s make kids drool on the go? What makes consumers so die-hard loyal to a brand? Being an entrepreneur or a digital marketer, you are probably striving hard to build a successful marketing strategy, and in turn an imposing business empire. You have already realized that it’s not enough anymore to simply rely on your services or products in order to reach unprecedented heights of success; you need to spice things up a tad. All you need is to narrate an inspirational brand story that resonates with your audience and fills them up with touching emotions or heartfelt nostalgia perhaps. Major brands such as Nike, Coca-Cola, Google, Tom Shoes, Zappos and more have become industry icons because of their unique storytelling éclat, stellar services, and quality products. Your brand story is the best thing that can differentiate your brand in this fierce digital world because people are prone to letting a stirring story become etched on their minds. A great brand story can position your brand in the most effective way possible while connecting it to a bigger audience. If you haven’t figured out how to tell your brand story well yet, you are probably missing out on a huge revenue-generating potential of your content marketing efforts. An inspirational brand story has a real potential to increase the value of your brand by 20x. The reason for your brand existence. Its purpose, values, objectives and mission statement. What makes your brand different from others? What motivates you to offer exceptional experiences to your consumers? Motivate your readers to be a part of your brand. When you master the art of brand storytelling and successfully come up with a compelling story, your brand will surely engage with your brand. Here are some inspirational brand storytelling examples that will help you craft a powerful yet convincing brand story so that you are able to attract a wider and engaged audience, who is willing to buy your products. The fashionable eyewear retailer, Warby Parker, has gained a massive popularity by offering higher-quality, better-looking prescription eyewear that doesn’t leave your wallets bare. The idea was born out of necessity when one of its founders lost his glasses on a backpacking sojourn and couldn’t afford to replace them even after turning out his pockets. The brand believes that everyone has aright to buy quality glasses, but sadly a major portion of the world’s population can’t afford to buy a decent looking pair. To help solve this dilemma, Warby Parker, in collaboration with a non-profit organizationVisionSpring, makes sure that for each pair of glasses they sell, a pair is distributed to someone in need. The eyewear retailer has distributed more than 1 million pairs to date and trained thousands of people to offer basic eye exams and supply glasses within their communities with the help of VisionSpring. Soul Cycle is a fitness brand that has a burgeoning vision to “create a better alternative to the fitness routines that feel like work.”The idea for the brand popped up when two busy, ambitious women Julie and Elizabeth couldn’t manage to find a perfect cardio routine, catering to their hectic schedules. So, they decided to start their own indoor cycling studio that emphasizes on a full body workout, in addition to a spiritual component.Soul Cycle currently touts 17 studios around New York and Los Angeles. Soul Cycle has totally reshaped the fitness experience and enthusiastically embraced its community of loyal fans. Change your body. Find your Soul. The story behind this famous whiskey has its roots in the murky history dating back almost 200 years when the father of John Walker passed away and he had to sell his family’s farm due to financial hardships that befell them. Since John always had a predilection for business, he opened his own grocery store. With a flaring love for whiskey, John started brewing the best whiskey in town and sold it at his grocery shop. Soon he became quite a name to contend with. After John’s demise in 1857, his son Alexander did everything in his power to continue his father’s legacy and introduced the whiskey to many places around the world. Later, Alexander’s sons, Alexander II and George, renamed the whiskey bottle, hence, Johnnie Walker Red Label and Johnnie Walker Black Label came into being. Today, Johnnie Walker is one of the most famous whiskey brands in the world, with a great message for their consumers: “keep walking”. Being a digital marketer, it is important to comprehend that your brand story should lend a purpose to your brand existence. And this purpose has to transcend your offerings. It is also important for the success of your brand, as people love to know the reasons behind why your brand exists in the first place. Blue Apron is a service that delivers fresh, superior grade ingredients for meals that customers can whip up at home. One of the biggest players in the meal-kit delivery industry has smartly conveyed its brand’s mission: “Make incredible home cooking accessible to everyone.”Confiding in your consumers the sole reason behind your brand will make your brand story seem more real and intriguing to your target audience. Beardbrand is a company that sells beard care products. They offer a wide array of oil products and grooming kits that make it easier for men to maintain their appearance. The founder of Beardbrand Eric Bandholz started out with a blog and YouTube channel where he shared tips and invaluable insights for self-grooming. Eric was contacted by the NY Times for sharing his useful tips on beard care products and he didn’t miss this opportunity to promote his brand via this channel. He quickly became an authority on the subject and when he decided to launch his own brand of products, he had already earned the trust of an immense audience. Remember that every inspirational brand story needs the right audience to become epic. Find your target audience, identify their needs, and then tell your story to them, just as Eric did. 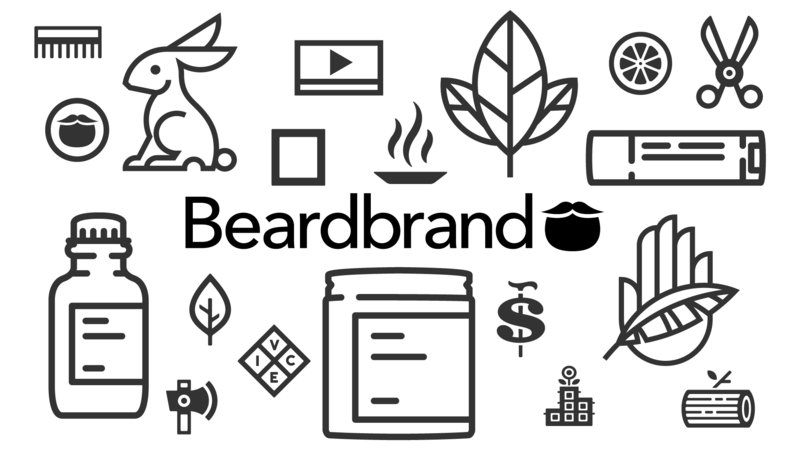 Beardbrand is a great example of brand storytelling that knows how to tap into your target demographics. Whether you are offering web design services, fashion products, real estate services, or electronic gadgets, you can create a huge impact on your consumers’ mind with an inspirational storytelling. So, be sure to create a memorable, persuasive and rousing story so that your target audience understands why your products or services are worth their salt. These exceptional brand storytelling examples mentioned above can refuel your creative juices and help you craft a story that will put you ahead of the curve.